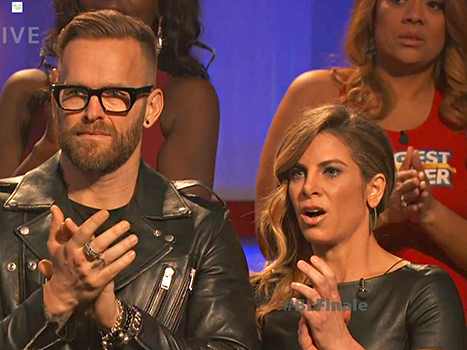 Has The Biggest Loser lost a little too much? IT’S one of the biggest US shows, and it’s creating an ever bigger media storm following it’s shocking finale. Of course, it’s The Biggest Loser. The TV show which sees individuals with the desire to lose weight battle for weeks on end; learning more about exercise, food and health than they’ve probably ever known. It spurs contestants on to work as hard as they can, lose the biggest body weight percentage and stay in the running, so to say, in the build-up to the final weigh-in. And why is it causing utter uproar recently? Most recent winner, Rachel Frederickson, has stunned audiences with her colossal weight loss of more than 70kg throughout this season’s duration. The 5’4″ ex-athlete weighed in at 260lbs at the inset of the show and left weighing a mere 105lbs. Her transformation did, I admit, shock me. She does look extremely thin, especially in comparison with how she looked previously. The internet is going crazy with a love-hate reaction to her new look. On the one hand, Rachel has made what is likely to be the biggest change to her life EVER, and seems happy with her new look and how it makes her feel. She has obviously worked hard throughout the entire time, and why should she see ridicule online for her hard work. On the other hand, however, this shock result coming from a show which is supposedly the pinnacle of weight-loss trials and tribulations. Many people are criticising the show’s producers NBC for allowing Rachel to be trained and supervised for her to drop to this weight. For her height, her Body Mass Index rating (BMI) – although I think it’s flawed as doesn’t take muscle into account – Rachel is underweight. She measures in at 17.7, whereas healthy is considered from 18.5 onwards. She, and NBC claim that she was advised by doctors and professionals, however in my opinion, if that is true, that these ‘professionals’ may need to reevaluate their advice. Underweight is never ideal, particularly on a show which advocates for a healthy lifestyle and weight loss. So, should people give Rachel a break and appreciate how hard she has inevitably had to work? Personally, I believe someone who is a contestant is obviously is susceptible to being led through their weight loss. I mean, of course they are, they are on the show because they are desperate to lose weight. And so if her ‘professional’ advisors are telling her this and that, encouraging her to lose this weight, then perhaps they are the ones to blame. I think Rachel would have done whatever she was told to lose the most weight. She went above and beyond the premise of the show-to be the one who loses he most weight. I was disturbed at the reaction her weight loss received, as she only did what she signed up yo do. Is she thin? Yes, she is. I think that if she had always been that way, she would be seen as strong. But because she was heavy and shrank down to a wisp she is being vilified. After all, if she can be so thin, why did she ever gain so much weight? That is the hypocrisy built into images and women. I agree, as a woman who feels these pressures, if I got the bad response she has to such a weight loss transformation which she obviously worked hard for I would be devastated. You’re right, she did what the show aims to do. Just seems a bit hypocritical that she is now underweight; not a healthy place to be for any individual.